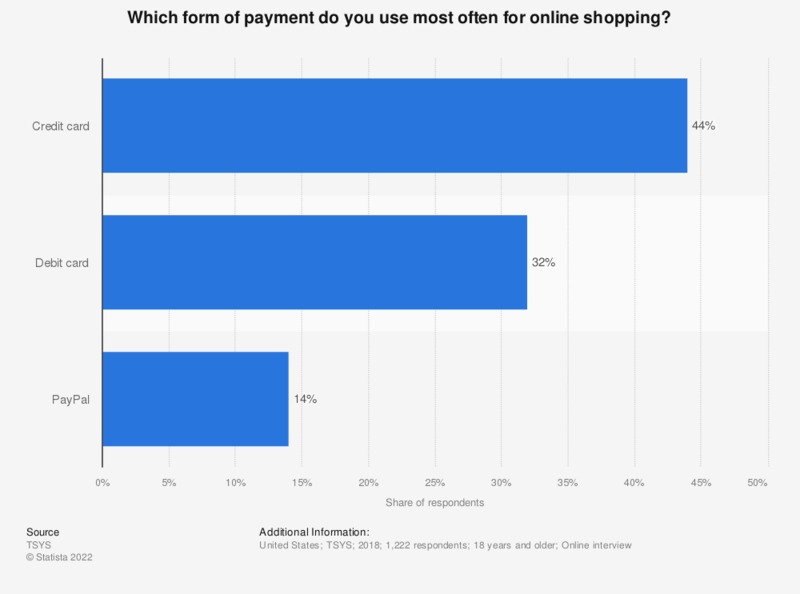 This statistic shows the preferred payment method for online shopping according to internet users in the United States in 2017. During the survey period, it was found that 28 percent of respondents most frequently used a debit card to pay for online purchases. The source does not provide an exact date of survey. Question was reworded for an easier understanding. Are you often concerned about the security of your bank details when shopping online? Do you know what seals of approval for online shops are? Which of these products or services have you purchased or used via the internet?